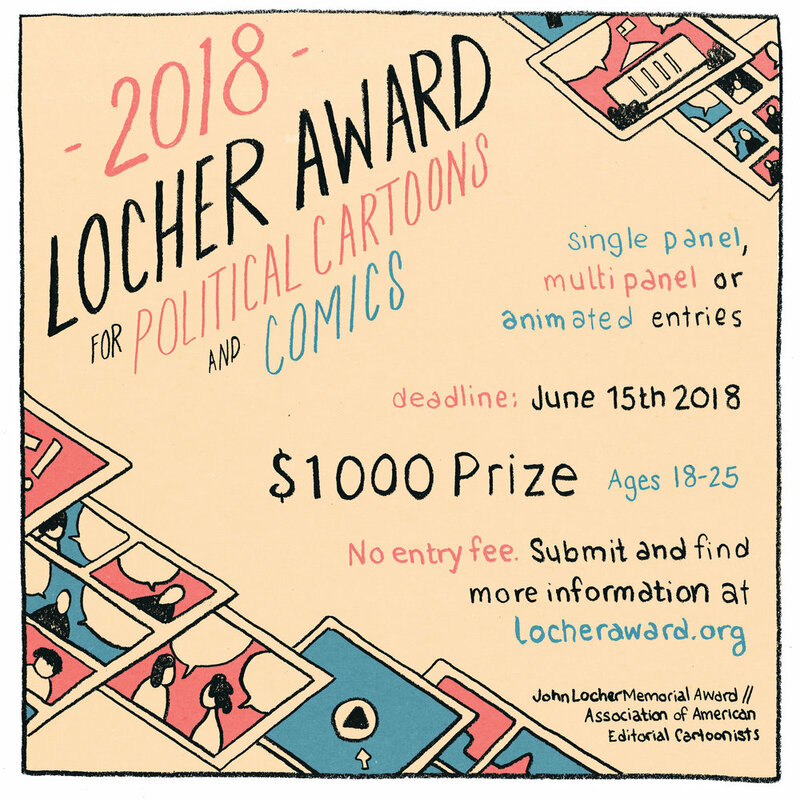 We're happy to announce that the 32nd Annual Locher Award is now open for submissions! Cartoonists can submit up to four cartoons, comics, or animations until June 15th, 2018. We're looking for work that demonstrates clear opinions and strong artistry on social or political topics. If you have any questions, don't hesitate to reach out to Locheraward at gmail.com.